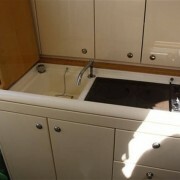 PRICE RECENTLY REDUCED FOR QUICK SALE. 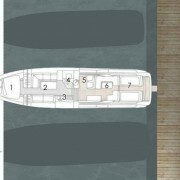 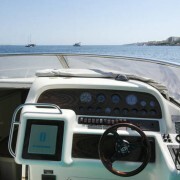 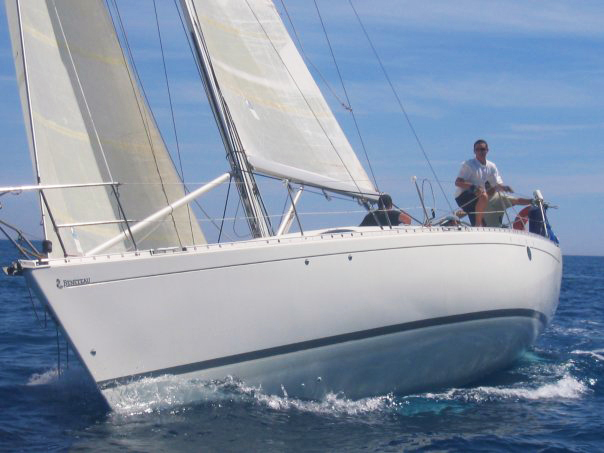 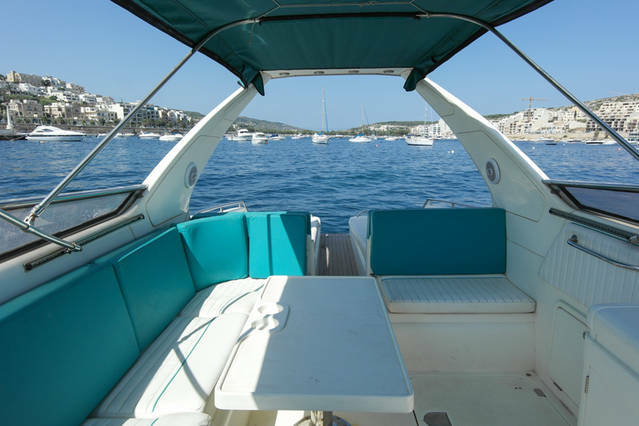 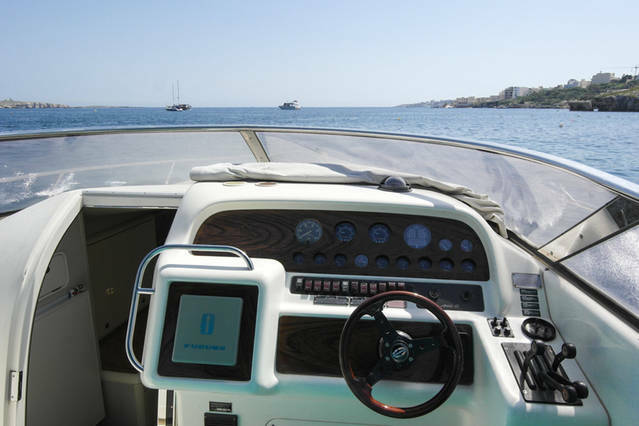 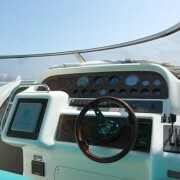 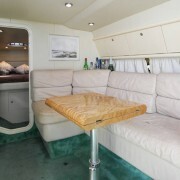 The spacious open cockpit boasts twin aft sunbathers which can be converted into one large sunbather, the cockpit seating and dining area can accommodate up to six people and the helm position features a double helm seat and single navigators seat. 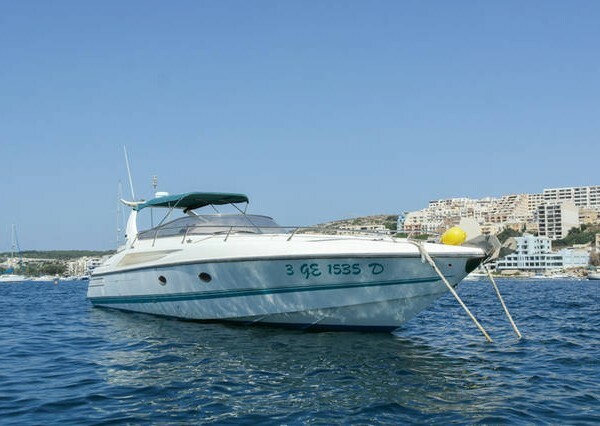 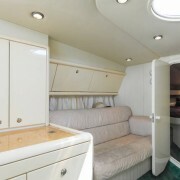 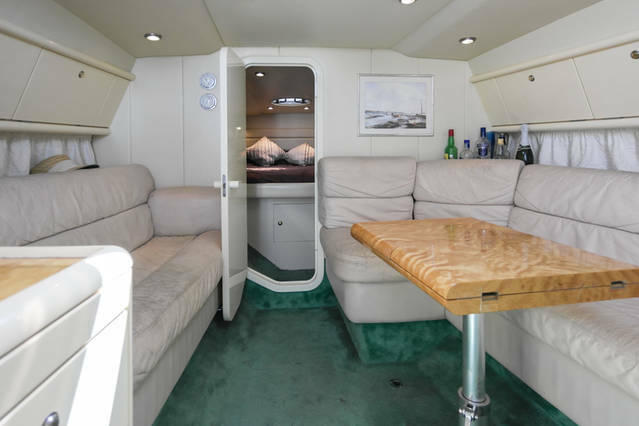 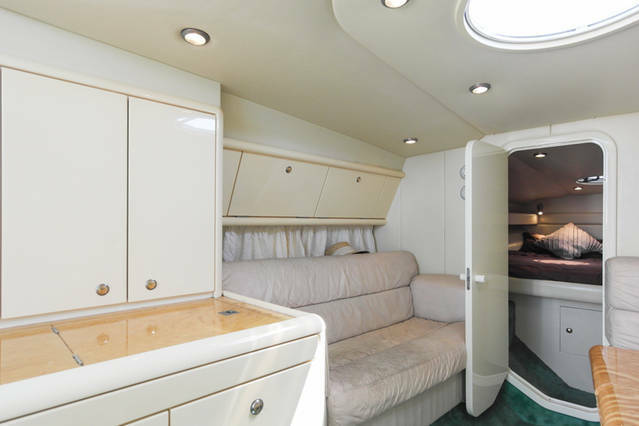 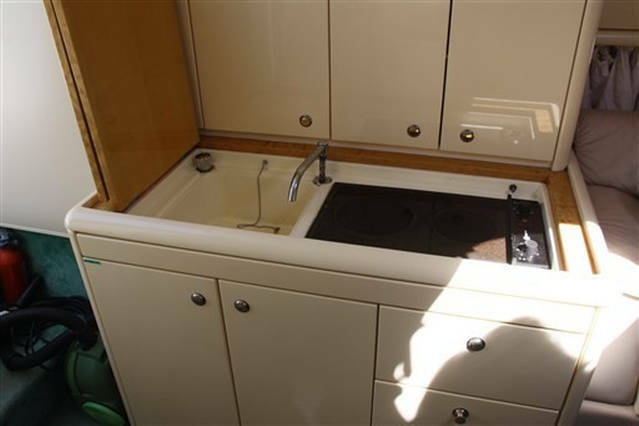 The saloon area comprises a galley with a refrigerator, sink and gas hob and offers plenty of storage and seating around a dining table which can convert into an additional double berth. 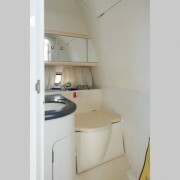 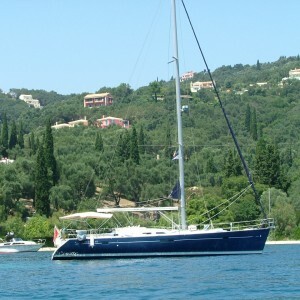 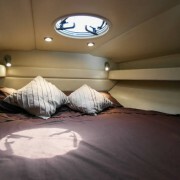 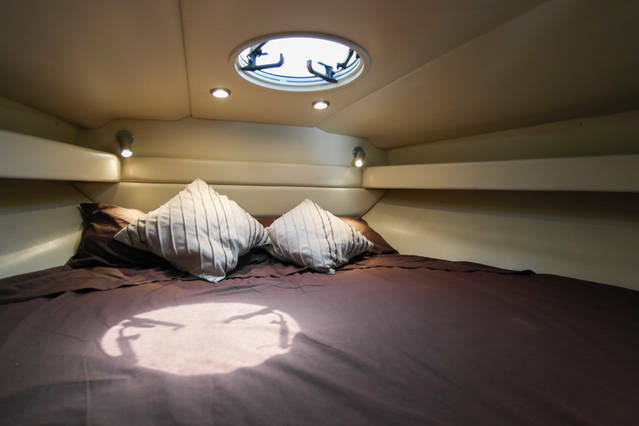 The forward cabin consists of a double berth with wardrobe and storage areas. 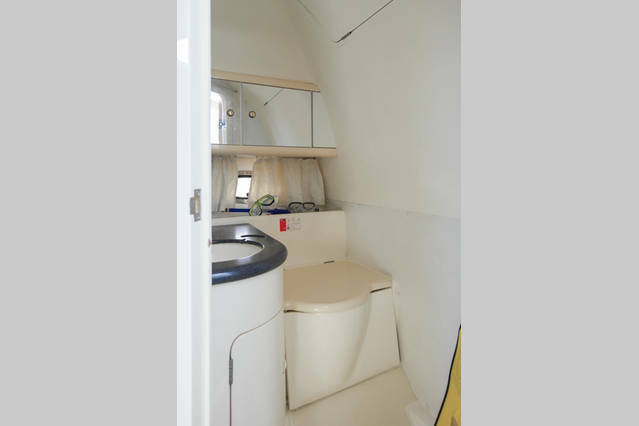 The independent shower room features an electric WC and a wash basin with additional storage areas. 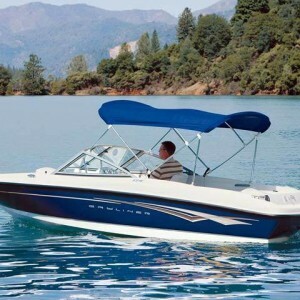 This high performance powerboat is built first and foremost for speed and comfortable cruising in heavy conditions! 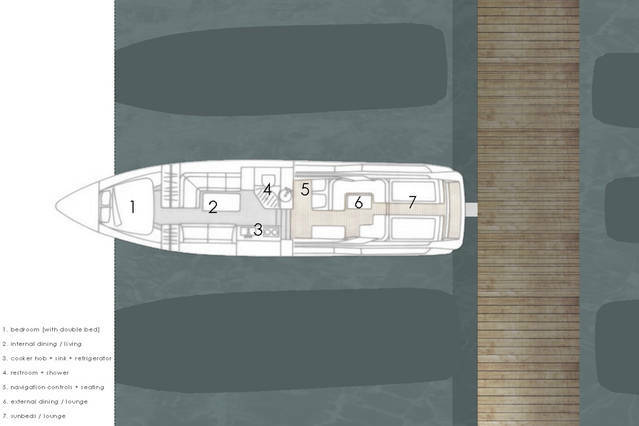 The whole layout is carefully balanced to deliver the comfort and smoothness your passengers expect, her deep V-hull offers comfortable cruising at high speeds. 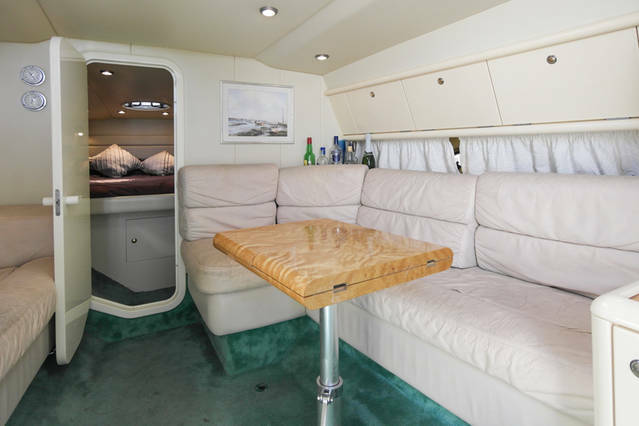 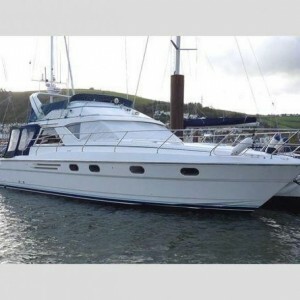 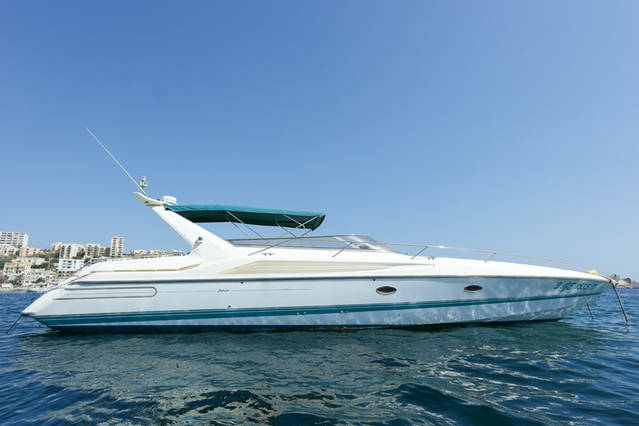 The Sunseeker Apache 45 is an ideal weekend boat, offering a spacious cockpit with a removable dining table, and ample cabin space which will sleep up to 4 guests. 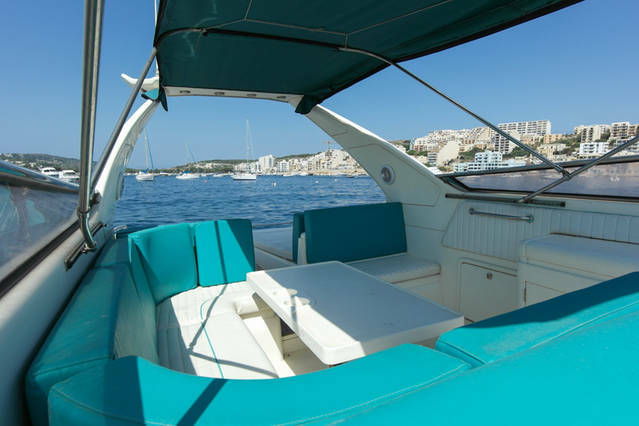 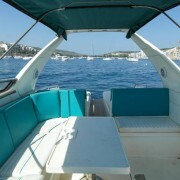 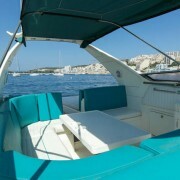 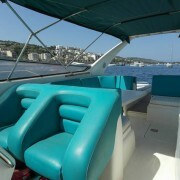 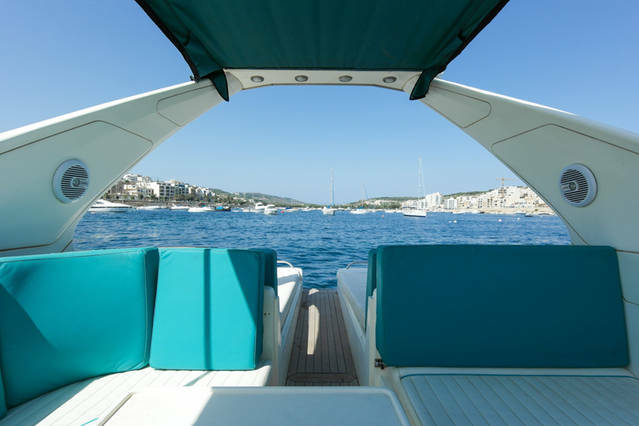 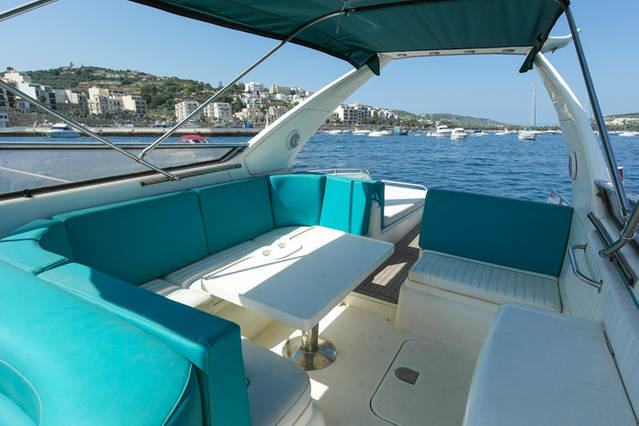 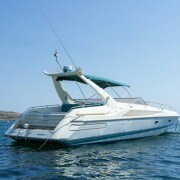 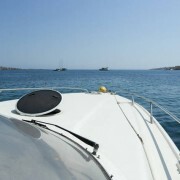 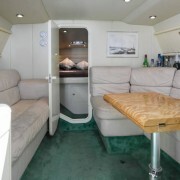 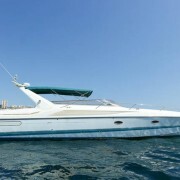 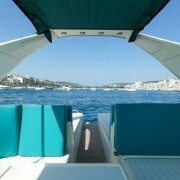 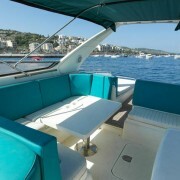 The bow cushions and aft sun loungers provide plenty of space for guests to relax on board. 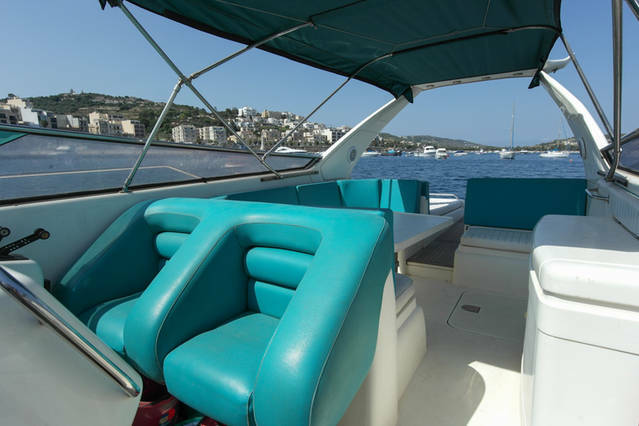 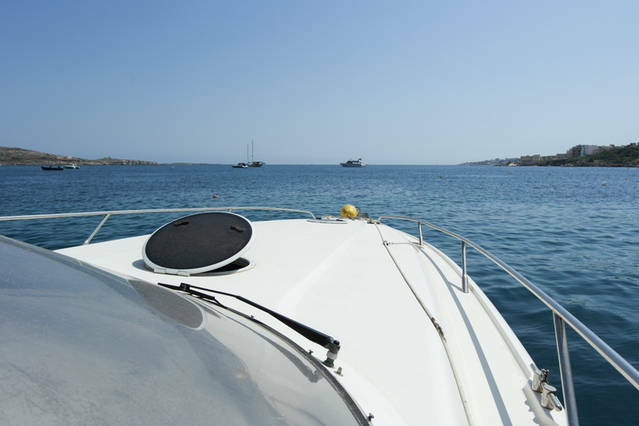 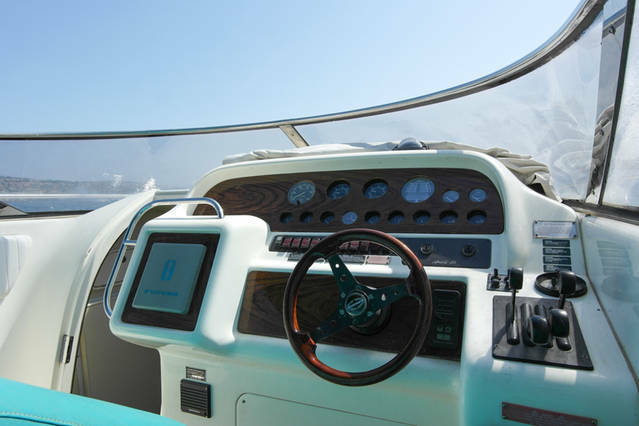 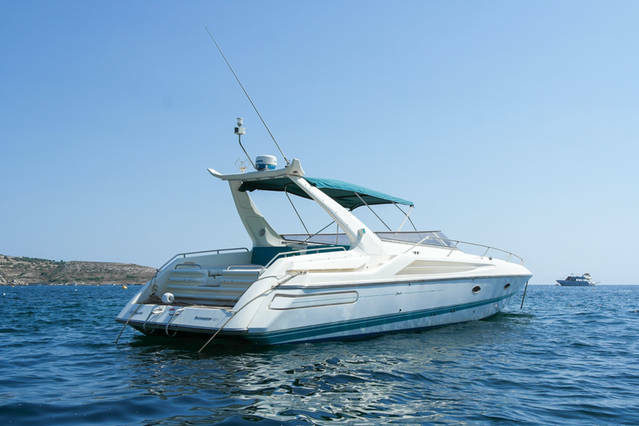 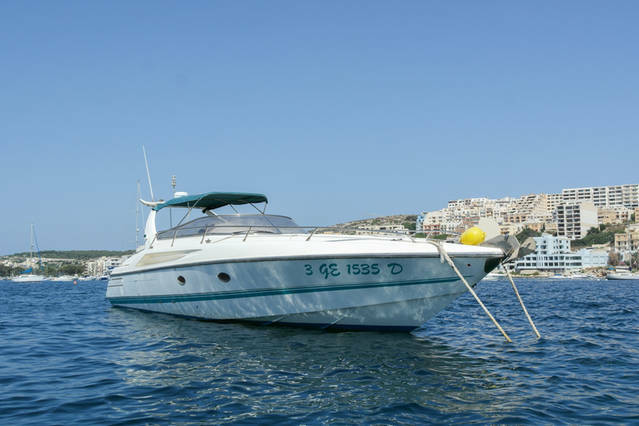 The engines and stern drives have recently been overhauled, offering you complete peace of mind and trouble free boating. 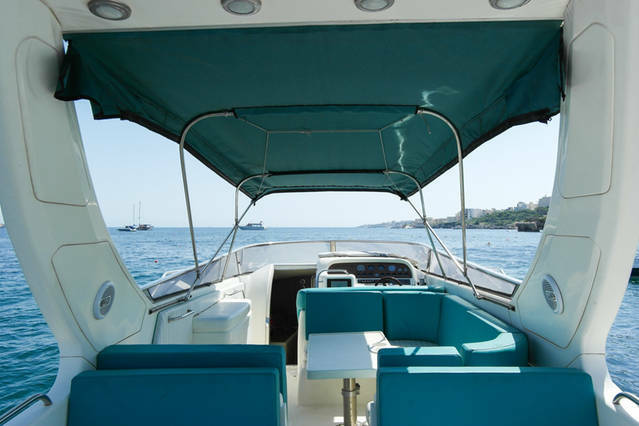 Anchor electrical windlass, Water pressure pump, Batteries, Draining System, Hydraulic Flaps, Fire Extinguishers, Flaps Indicators, Courtesy Lights, Automatic Bilge Pump, Shore power connector, Horn. 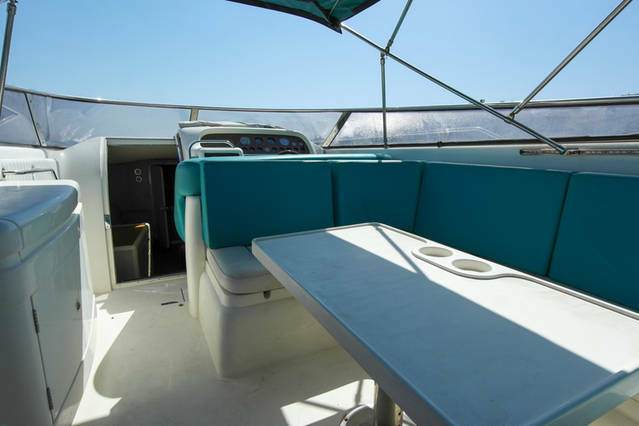 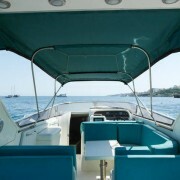 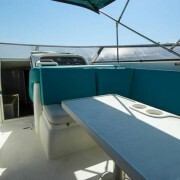 Bimini, Cushions, Stern Cushions, Bow Cushions, Instrument Cover.